Undergoing a Hair Restoration is a life changing decision. For such an important choice it is important to know who is performing your FUE Hair Restoration procedure. At many other clinics, even in the United States, Physician Assistants, Technicians as well as untrained and unlicensed medical personal are doing the FUE Extractions and harvesting for the procedures. Not your hair restoration surgeon. FUE harvesting is extremely delicate work, and is an absolutely critical component to the quality of your hair restoration outcome. Only a trained doctor or surgeon should be harvesting your grafts. 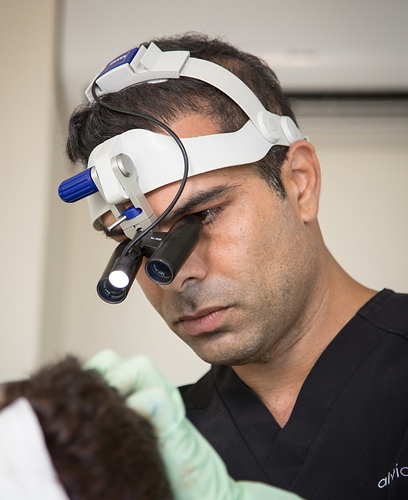 When considering a hair restoration surgery, it is important to find a qualified surgeon who has proper training, FUE experience and certifications and one who is heavily involved in your procedure and performing your FUE Harvesting. 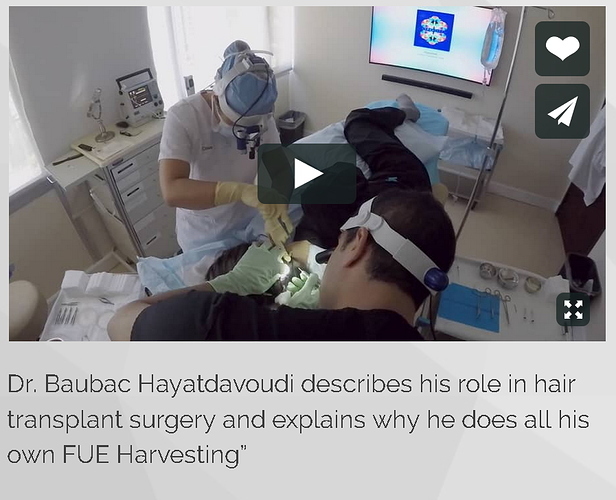 In our Beverly Hills Clinic, all FUE harvesting is personally done by Dr. Baubac Hayatdavoudi to ensure the survival of each single graft in order to provide you with the ideal outcome for your procedure. This surgical protocol is probably the reason for successful FUE. Yes @SeanFUE the surgical protocol and the amount your surgeon is involved in the FUE procedure is crucial. Below are critical questions that you need answers to before moving forward with an FUE clinic. 1) Is your Doctor the person doing the FUE harvesting or is a Physician Assistant or technician doing the harvesting? 2) How long has your surgeon been doing FUE and FUE harvesting? 3) How many FUE cases does your doctor perform monthly? 4) If your doctor does both Strip and FUE, Does your doctor perform more strip cases then FUE cases monthly?